Palmerbet Sports Team have A-League tips for every game from Week 17, culminating in a Sunday showdown between Sydney FC and Melbourne City. Final Thoughts: Two out-of-form teams lock horns as Week 17 gets underway – but Western Sydney Wanderers and Newcastle Jets have likely dipped out of the finals race already. WSW have picked up just two points from their last nine games. They snapped a six-game losing streak with a 2-2 draw in Brisbane, but they should have won, inexplicably conceding two stoppage-time goals. The Jets have won just one of their last seven games. A 1-0 win over the bottom-placed Mariners fed into a 2-0 loss to the Glory. Newcastle are unbeaten in their last four against WSW, winning two. The Jets prevailed 2-0 in Sydney in Week 5. Tipping a winner is near-impossible given what both sides have produced lately, but there looks a big chance of plenty of goals being scored. 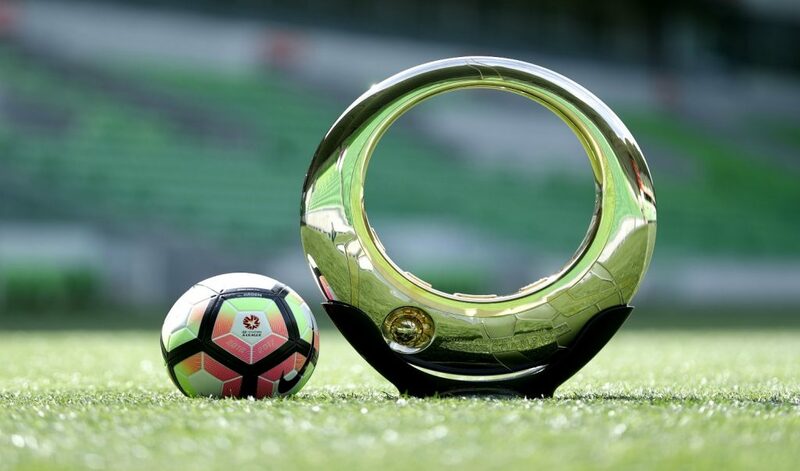 Final Thoughts: Melbourne Victory are aiming to keep the Premiers Plate race alive, while the Central Coast Mariners’ main motivation is finding a way to avoid another wooden spoon. Since their drought-breaking win over Melbourne City and follow-up draw against Brisbane, the Mariners have lost back-to-back away games against the Jets (1-0) and Adelaide (2-1). But there’s no question the Mariners are in far better shape than they were during their 10-match losing streak. The Victory have lost just one of their last 14 games and carved out a huge 2-1 Australia Day win over Sydney FC. Ola Toivonen has scored in each of the defending champs’ last three games, while James Troisi has bagged three in the Victory’s last four outings. The Victory are unbeaten in their last 16 clashes with the Mariners, winning 12. The Victory have scored nine goals in their last two against the Mariners, including a 4-1 drubbing in Melbourne in Week 4. The Mariners’ defence has tightened up significantly in recent weeks but they will struggle to contain a Victory outfit that has scored a league-high 36 goals in 16 games. Final Thoughts: Gritty Adelaide United have solidified their top-six standing and quietly become one of the toughest teams to beat in the A-League. The Reds have lost just one of their last eight games, following up their scoreless draw away to the Glory with a 2-1 home win over the Mariners. They had to come from behind in the latter, however, and only banked the three points via a stoppage-time goal to George Blackwood. The Brisbane Roar need a minor miracle to make the finals, winning just one and drawing six of their 16 games. Doing enough to avoid the wooden spoon is sure to become their focus within a few weeks. The Roar are winless in their last 10, though they produced a miraculous comeback to draw 2-2 with Wanderers last Friday, scoring two stoppage-time goals. Adelaide have won three and drawn one of their last five at home against Brisbane – including a 2-1 victory in Week 6. Piling on goals isn’t Adelaide’s strong suit, but they’ve won their last two at home and should get it done against the hapless Roar. Final Thoughts: Perth Glory’s spot at the top of the A-League ladder looked slightly shakier after back-to-back scoreless draws against City and United. But they broke the attacking shackles with a 2-0 win over the Jets last Sunday, while maintaining their status as the competition’s defensive benchmark. Meanwhile, it’s time to admit the Wellington Phoenix are something like the real deal. They have lost just one of their last 11, bouncing back from a 1-0 loss to Sydney FC by downing Melbourne City 1-0 last weekend. Giving Roy Krishna a break from dominating the scoresheet, David Williams goaled for the third time in four games to seal the three points. The Phoenix have managed two wins and two draws in their last five clashes with the Glory; the teams drew 1-1 in Wellington last month. The Phoenix are on a three-match losing streak in Perth but have shown enough over the past couple of months to prove they can match it with the league’s best. Final Thoughts: Sydney FC will be hell-bent on bouncing back from a blockbuster defeat, while top-four regulars Melbourne City are in danger of being leapfrogged by a couple of clubs. Sydney went down 2-1 in a disappointing performance against the Victory, who jumped them into second spot. The Sky Blues had won seven of their previous eight games. City have won only one of their last four, bookending a disappointing couple of weeks with losses to Central Coast (2-1) and Wellington (1-0). Their stall during the second half of January has allowed the Phoenix and United to claw to within one point. Sydney FC have won their last six against Melbourne City by a combined 17-2, including a 3-0 rout in Melbourne earlier this season. Scoring goals against the A-League’s better teams and performing on the road have proven major issues for Melbourne City – dual factors Sydney FC should be able to capitalise on.